INDUSTRY.co.id - Jakarta, Chamber of Commerce and Industry (Kadin) Indonesia estimates that the interest rate of Bank Indonesia (BI) will still rise. Currently, BI has twice raised the BI 7 day reverse repo rate by 25 basis points (bps) to 4.75 percent. Businesses are expected to anticipate when interest rates will still go up. "We appreciate BI, because we know the interest rate is definitely rising, we have predicted it will rise again in the future," said Chairman of Kadin Indonesia Rosan P. Roeslani in Jakarta, Wednesday (6/6/2018). He added that various external and internal factors pushed the central bank to raise interest rates. Moreover, Rosan admitted, economic developments in the United States (US) to make BI must be careful in managing various risks. "The Fed Fund Rate is rising this year and next year is still rising again, the yield of US Treasury is up to three percent. For us this policy is anticipated, our cost of fund will go up, that's not a problem as long as the stability is maintained," he explained. Furthermore, Rosan said the central bank's step to raise interest rates could reduce the volatility of the rupiah. The weakening of the rupiah currency is too deep assessed will burden the investment of entrepreneurs so that the impact will disrupt the economy. 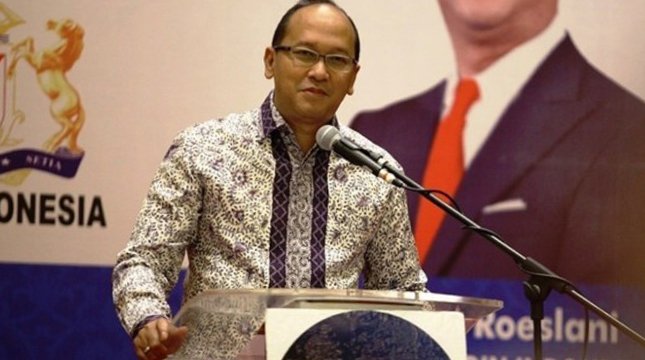 "What BI is doing is good, but it is temporary, it's like yesterday we have started to have fever with rupiah weakening, then given the medicine by BI then the fever is coming down, the short term is very good, but it is not enough," he said. Rosan said, the interest rate of BI rose is not free from economic conditions at home and abroad. But clearly, he said, the increase would incriminate entrepreneurs from the production cost side, so that potentially rising prices of goods. It hopes the government and business actors can anticipate the condition. According to Rosan, as long as the rupiah exchange rate does not go up drastically it is a good thing, so that entrepreneurs can plan, and do anticipation in preparing the budget. "We are looking for a solution to that and indeed the policy is very important, how to harmonize the central and regional policies that have not been aligned," he concluded.